The Sunshine Coast Solar Centre will assist you with claiming all applicable rebates for your Solar Edwards solar hot water system. Please contact us to find out more. The Australian Federal Government is helping Australian households install climate friendly water heaters. A non-means tested rebate of $1000 is available in eligible circumstances to install a solar hot water system to replace an electric storage hot water system in an existing privately owned home. A $600 rebate is available to install a heat pump water heater in the same circumstances.The rebate is offered for systems installed on, or after 20th February 2010 until June 2012, subject to the availability of funds. This measure will mean households can save money and help fight climate change. Water heating is the largest single source of greenhouse gas emissions from the average Australian home, accounting for around 25% of home energy use (excluding the family car). The owner or tenant will need to apply directly to the Federal Government to receive this rebate. be installed by a suitably qualified person (for example a plumber and/or electrician). The dwelling where the hot water system is installed must be a principal place of residence. The household must not have already accessed the $1600 insulation offer under the Homeowner Insulation Program for the same home. If however you have had foil insulation removed by the Government you are entitled to the Solar Hot Water rebate. Further conditions and eligibility criteria may apply. The Queensland Government is offering rebates to households that replace their electric hot water system with a Solar Edwards solar hot water system or heat pump. The rebate will reduce the cost of a Solar Edwards solar water heater. a $600 rebate for the installation of a Solar Edwards solar hot water system or heat pump. a $1000 rebate for pensioners and low-income earners who install a Solar Edwards solar hot water system or heat pump. Am I eligible to get the rebate? 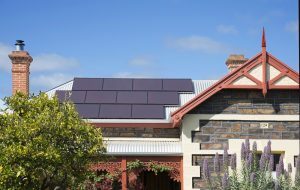 To get the $600 or $1000 Queensland Government Solar Hot Water Rebate, applicants must meet a number of eligibility criteria. Applicants should read the fact sheet (available here) containing the full eligibility criteria, as part of any decision to purchase a solar water heater. Some of the key eligibility criteria are provided below. purchased their solar water heater on or after 13 April 2010. Please note, you can only apply for the low-income earner/pensioner rebate amount once. Submitting an application for the Queensland Government Solar Hot Water Rebate does not guarantee eligibility. Your application will be assessed by the Queensland Government and your eligibility determined before any rebate payment. You may be asked to provide supporting evidence to confirm your eligibility before the rebate is paid. Sunshine Coast Solar Centre is a registered STC agent with ORER (office of renewable energy regulator) as such we can offer you the best possible price for your STC’s. Small Technology Certificates or STCs replaced the renewable energy certificates (RECs) scheme on January 1st 2011. REC’s (now STC’s) were introduced by the Australian Federal Government as an incentive to assist the switch to renewable energy sources as part of its policies to ensure Australia meets its international commitments in reducing greenhouse gas emissions. Measuring the amount of renewable energy produced, or non-renewable energy displaced, is done via the creation of Small Scale Technology Certificates (STCs). A STC for a solar water heater is the equivalent of 1 MWh of renewable energy produced, or non-renewable energy displaced, over a ten-year period.The installation of a solar water heater may be eligible for the creation of STCs if it is accredited by the Office of Renewable Energy Regulator (ORER) and results in a positive greenhouse gas benefit. Once created STCs can be traded, purchased or sold, thereby making a solar water heater installation cheaper for the owner.The value of STCs is not fixed and varies from time to time. The Owner of the solar water heater can assign the right to create STCs to Sunshine Coast Solar Centre and Sunshine Coast Solar Centre will reimburse the Owner for the value of the STCs via a point of sale discount.